"I've left some clues for you.If you want them, turn the page.If you don't, put the book back on the shelf, please. "So begins the latest whirlwind romance from the New York Times bestselling authors of Nick & Norah's Infinite Playlist. Lily has left a red notebook full of challenges on a favorite bookstore shelf, waiting for just the right guy to come along and accept its dares. But is Dash that right guy? 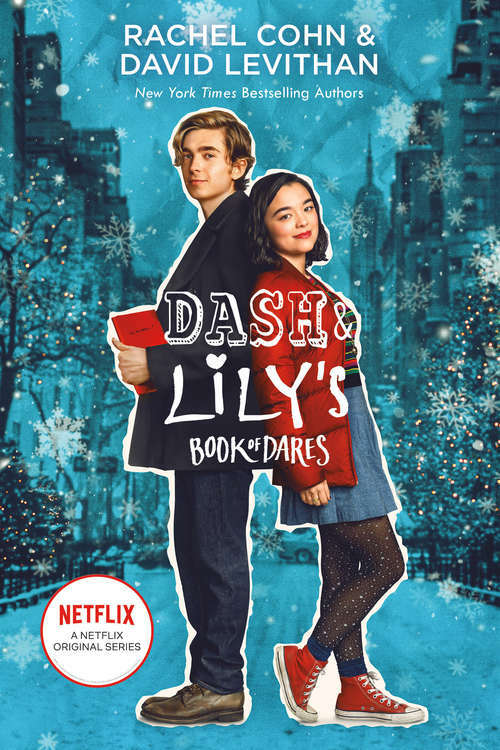 Or are Dash and Lily only destined to trade dares, dreams, and desires in the notebook they pass back and forth at locations across New York? Could their in-person selves possibly connect as well as their notebook versions? Or will they be a comic mismatch of disastrous proportions?Co-written by Rachel Cohn and David Levithan, co-author of WILL GRAYSON, WILL GRAYSON with John Green (LET IT SNOW, THE FAULT IN OUR STARS), DASH & LILY'S BOOK OF DARES is a love story that will have readers perusing bookstore shelves, looking and longing for a love (and a red notebook) of their own.From the Hardcover edition.